Carrie Underwood has teamed with Tickets-for-Charity.com® to give fans some of the best seats in the house on her Blown Away Tour, while at the same time benefiting the Academy of Country Music’s ACM Lifting Lives and the C.A.T.S. Foundation at TicketsforCharity.com/ACMLiftingLives. The program gives fans access to great seats in sold-out sections for concerts across the country. Fans pay the same or a better price than they will find elsewhere, only their purchase through Tickets-for-Charity.com supports causes and organizations that are important to artists and fans, rather than ticket resellers. Zac Brown Band, Toby Keith and Brad Paisley have also taken part in this generous program. 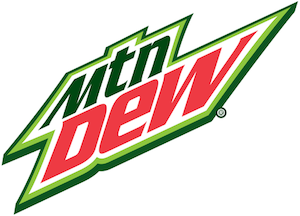 Mountain Dew has welcomed Brantley Gilbert into the Dew family with a new partnership. 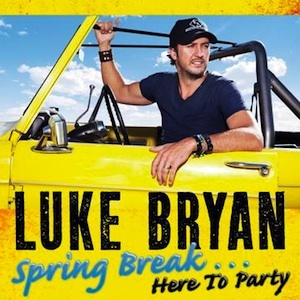 Luke Bryan is set to release his fifth Spring Break-themed album, Spring Break..Here To Party, on March 5. The 14-song project will contain many of the songs on Bryan’s previous Spring Break EPs, as well as two original songs. To promote the project, Bryan will pause his Dirt Road Diaries Tour to once again play concerts at Spinnaker’s Beach Club in Panama City. The dates are set for March 12 and 13. Artist and songwriter Matraca Berg, along with songwriters Lynda Dawson and Chris Smither, will be a judge for MerleFest 2013’s Chris Austin Songwriting Contest. Now in its 21st year, the contest is a well-known vehicle for aspiring songwriters to get their compositions heard. Contest entries for the Chris Austin Songwriting Contest are accepted via two methods: U.S. Mail (P.O. Box 121855, Nashville, TN 37212) or via Sonicbids (www.sonicbids.com/chrisaustinsongwritingcontest). The deadline for submissions is Feb. 19.